TORONTO, March 18, 2016 /CNW/ - A campaign by International animal charity, World Animal Protection to end the cruel abuse of elephants in the tourist entertainment industry has secured the help of over 100 travel companies, it announced today (Friday 18th March). World Animal Protection has been engaging with tour operators around the world revealing the cruelty that goes on behind the scenes at venues where tourists ride elephants and see shows where elephants are forced to perform. In total, 114 global companies have agreed with the NGO that elephant rides and shows are cruel and must end. The travel companies, including global industry players like The Travel Corporation (including well-known brands like Contiki), TUI Benelux, Thomas Cook Northern Europe and Intrepid Travel Group have all agreed, in a bid to end the cruel practice. "Leading travel brands see the value of animal protection," says Executive Director at World Animal Protection Canada, Josey Kitson. "Many of the companies we've engaged with in Canada like G Adventures, The Travel Corporation and World Expeditions, as well as those globally including Intrepid Travel, have welcomed the opportunity to stand with us to protect wildlife." Despite this large number, there are still travel companies yet to commit to ending elephant rides and other cruel elephant entertainment. In order to make elephants submit to rides and other human interactions they are taken from their mothers as babies and forced through a horrific training practice known as 'the crush'. This process involves physical restraints, severe pain and the withholding of food and water. 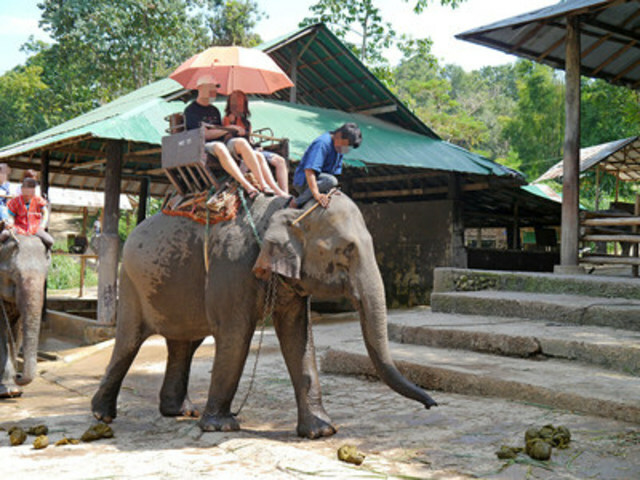 By the time tourists come to ride an elephant, its spirit has been broken. The cruelty does not end after the crush. When not performing or used for rides most elephants are kept chained and isolated from one another. This is hugely damaging to their physical and psychological wellbeing. "World Animal Protection wants to see this cruelty stop" Kitson adds, "and tourists can help by avoiding animal attractions while on vacation and encouraging more companies to join our movement. Find out more at www.standupforwildlife.ca". A full list of 114 global travel companies can be found here.